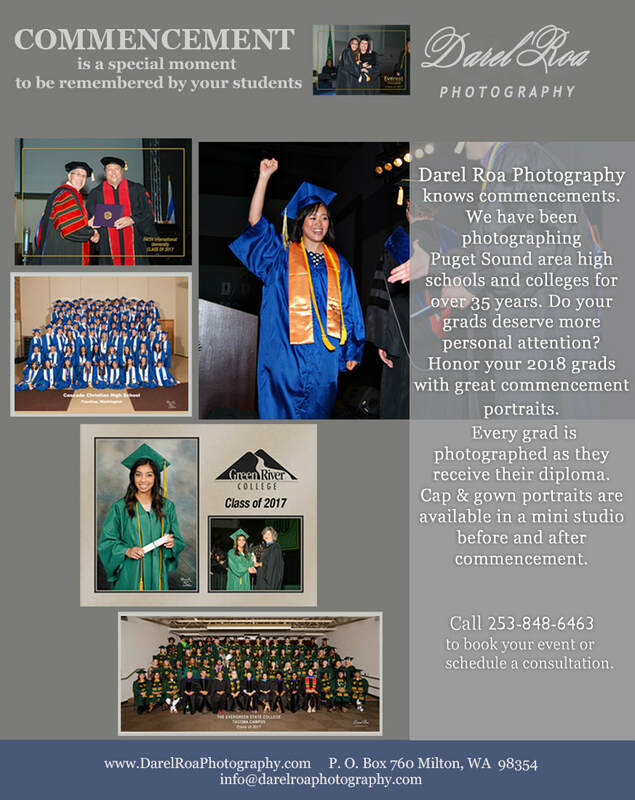 It continues to be our privilege to provide exceptional graduation / commencement photography for a number of greater Puget Sound region schools, colleges and universities such as Tacoma Community College, Lake Washington Institute of Technology, Evergreen State College, Highline College and many more. We’d be honored to serve you and your graduating class of 2018. Contact us for references and further details of the programs that have served over 100,000 regional graduates.